The line between TV and cinema continues to blur, despite the retina display on the laptops we use to watch movies and TV shows. Lately, it’s not at all uncommon to see big-name actors take a lead role in a cable series (see: True Detective, Fargo, etc. ), but HBO’s Big Little Lies has already landed Nicole Kidman, Reese Witherspoon, and Shailene Woodley to portray women who lead “perfect lives” that eventually unravel and entangle, possibly leading to murder. 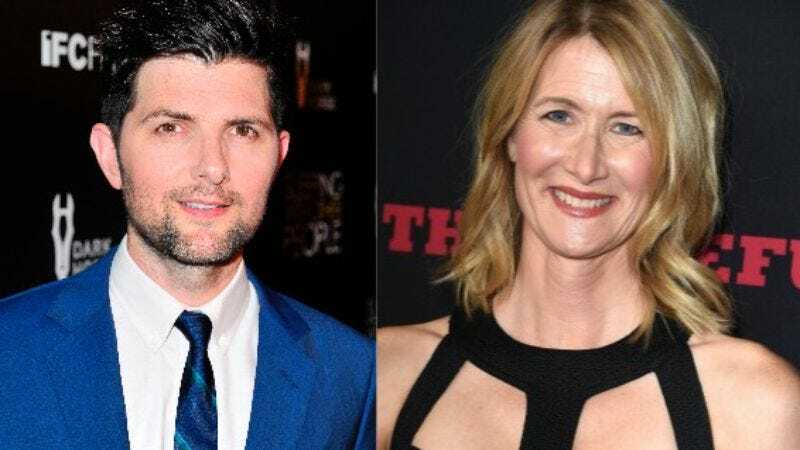 But just in case there’s any concern that Oscar winners Kidman and Witherspoon, along with YA franchise lead Woodley, might have trouble anchoring the series, TVLine reports that Parks And Recreation’s Adam Scott and Enlightened’s Laura Dern have also joined the cast. Scott will play Ed Mackenzie, the “loving and stable husband” of Witherspoon’s character, who shares her enviable life that may or may not lead to someone being killed. And Dern’s return to HBO will see her play Renata Klein, a powerful career woman and anti-bullying crusader. The limited series, from David E. Kelley, is an adaptation of the eponymous 2014 novel by Liane Moriarty. There’s currently no word on when production will begin.